To visualize cool living spaces for young people in an urban environment. 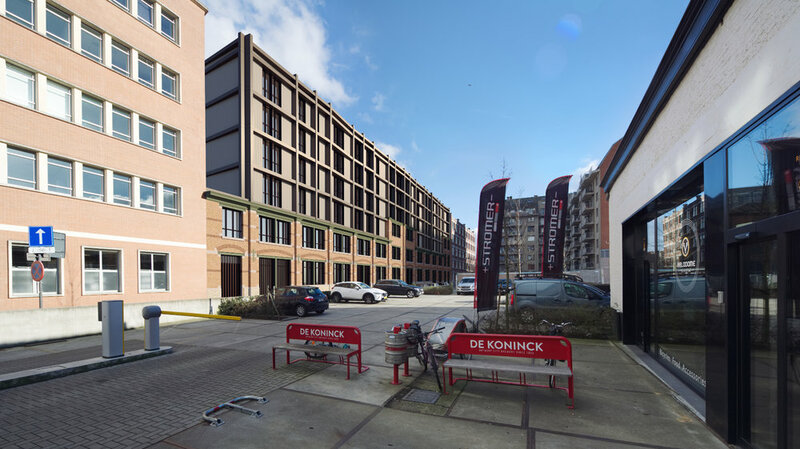 YUST stands for Young Urban Style, and is an urban real estate project close to Brewery De Coninck in Berchem, a true hotspot for young creatives. 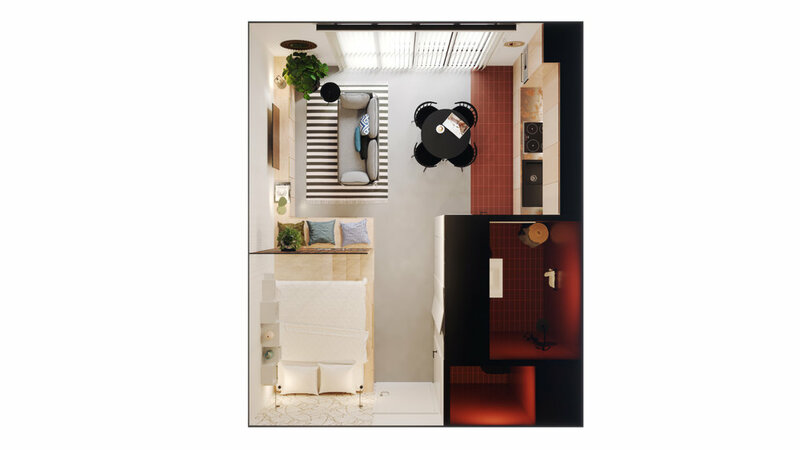 Initially, this living concept wanted to encourage young people to rent a compact living space and share communal areas with the other inhabitants. In the meantime the project evolved, now housing a hotel, restaurant, bar and many other facilities. Belly designed the visuals for the living spaces to attract investors, by showing the cool, concrete ceilings, clever space-saving solutions, multiple-use furniture and vibrant colours that scream ‘funky youngster living here!’ ;) The top shots give you the impression of being a giant leaning over a miniature flat. Fun and seriously inspiring!